It’s been called one of B.C.’s most bizarre drug cases in recent memory. A story with a cast of characters including an oddball hippy, a pot-bellied pig, an overly friendly raccoon and twenty-four black bears. Oh, and a thousand pot plants, apparently guarded by the bears. The bust took place in August of 2010 near the Village of Christina Lake, British Columbia and the story travelled to all parts of the world, including the United States, Denmark, England, India and Russia, where a news anchor lady could not stop laughing as she read the story. 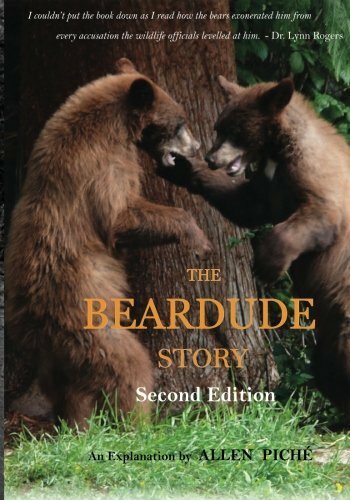 The New York Post declared, “Don’t Smokey near this bear.” Today, Allen Piche, aka ‘The Beardude’, announced the release of his book, The Beardude Story, which chronicles his side of this strange tale.